I won't make any bones about it, the Isle of Skye is very popular and there are a lot of tourists there. However, there is so much open space and random hiking in every corner of the island, that it is surprisingly easy to find solitude. In a lot of areas, you can pull off the side of the road and find a hiking trail that is well worn and easy to follow and just go for hours. As always I recommend traveling in the shoulder seasons. Prices are cheaper, less people and the weather usually holds out for a bit. I found September to be a perfect time to visit Skye. My friend visited in May and also found great weather and lower crowds. The beauty of Skye cannot be understated, hence its popularity. But I have to say that I found so many magical and beautiful places all around the highlands that I think part of its popularity is the ease of accessibility, mainly, that you can take a bridge to get there which makes it unique among a lot of the Scottish Isles which often require a ferry. 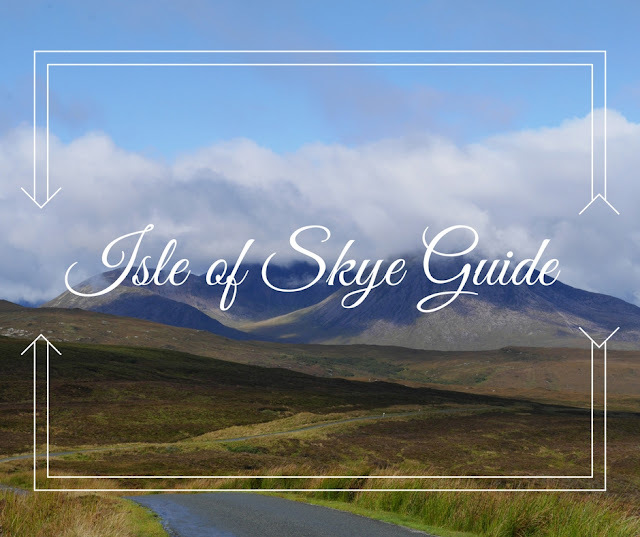 One of the best resources I found was Isle of Skye. This site goes so far as to catalog walks with extensive slide shows of the routes and trails. As a solo traveler I found this extremely helpful in planning my hikes and setting my expectations for the difficulty of a route. I highly recommend this site. Below I have shared a map with number of points of interest, viewpoints, some restaurants and my two awesome Airbnbs. This is of course not an exhaustive list but it does give a good overview of my three days on the island. Top tip - go early, wherever you go. This allows for unusual morning mists, sunrises and above all solitude from other visitors (if you are looking for that sort of thing). The most populous town on the island. Still only about 4 main streets. A lot of people use this as a base. There is a free parking lot (just outside the main square)and public toilets here for those just passing through. An almost full street of tourist shops, goodie shops and restaurants. Head down the hill for harbor views or up the hill to the left for harbor views and the iconic colored buildings by the bay. I was absolutely shocked at the amount of people I found in this remote area. Granted I knew I had started my day late but still, I saw almost no one on the road there (a windy, single track road on a hill) and it was because everyone was already there! It was so busy I just drove past the parking lot and decided to see where the road went. I made a second visit much earlier in the morning (there by 8am). On this second visit I found myself nearly alone there but was unable to pass over to the pools because the heavy rains overnight had made the river impassible. Rivers rise and fall very quickly in Scotland. Likely people were able to cross by the afternoon. Go early or go late is the key for this spot. Views are still fantastic even if you can't pass the river, as they are right at the foot of the Black Cuillin Mountains. There are several ways to get to the Quiraing parking area. I chose to come in on the A855 and turn just before Staffin. However you can also take a small road from Uig across instead of around the peninsula. Alternately, you can also hike from Flodigarry. Since the weather was really iffy, I took the most direct route I could find. Park wherever you can find space at the top. Hike in either direction along the visible paths. You will get muddy on this hike, and likely since it is Scotland, you will also get wet and possibly sunburned. Dress appropriately for all weather since you often get all of it within the same hour. The path can be narrow, rocky, muddy and wet. Above all it is stunning. There will also likely be plenty of people around even on a "bad weather" day, so you if you are solo, you can feel comfortable with this hike. Depending on your route, plan to hike for around 2 or more hours. Due to some pretty terrible weather I did not hike at the Storr. However, it is easy to find, there are cars parked in either direction at the entrance to the the trail. If you are not into doing the hike there are great viewpoints (I could kind of tell) all up and down the A855 near it. Check out above Skye website for more info on this one. 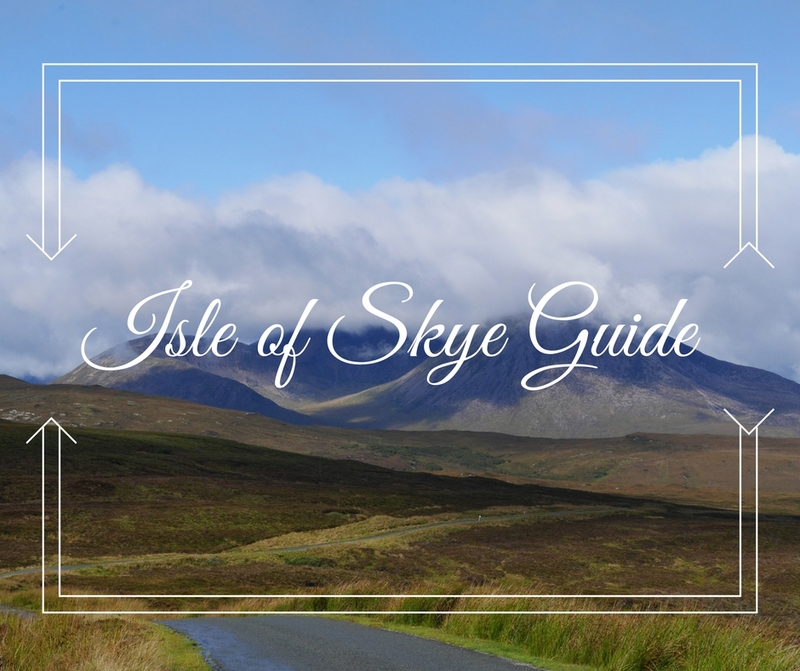 Pronounced slate, the southern most area of the Isle of Skye is often referred to as the Garden of Skye. It is significantly less busy than the rest of the island. I stayed a couple of nights on Sleat and I was so happy I did. While it is farther from other parts of the island (well not that far, the island is only so big), it had a much more local and less touristy feel to it. It was easy to find solitude in this area of the island. There are just as many beautiful hikes as the north and you can get an awesome view of the Black Cuillins from the west side of Sleat. (See map below). A lot of the roads on Sleat are single track except the main road along the east of the peninsula. Beautiful and secluded beaches can be found all around the peninsula. Ruins of Clan Donald Spiritual Home is how this place is described. I'm still not totally clear on what is meant by spiritual home but that's what they say. They have an informative museum here with a heavy focus on history. When I visited they also had some pretty amazing viking artifacts on loan. Take a gentle garden walk and take in views of the mainland across the water. I found the castle itself pretty eerie. The strange thing is that it was occupied well into the 20th century yet looked like it has been abandoned for hundreds of years. There are no windows or roof on the building and you can see straight through it to the other side. There were a few other visitors there during my visit but no hoards. Rain soaked by the lower falls. Because of my initial Fairy Pools fail I continued down the road and just kept going. I came across the only building for miles and realized it was a Youth Hostel. I happened to look left as I was driving across a little bridge and bam, I noticed a waterfall. I quickly pulled over after the bridge, donned all my rain gear and went for a hike. The path was easy to follow, although very rocky, muddy and wet. This trail continues deep into the hills with varying view points of the falls. I was completely alone here until a random guy out for a morning run zoomed past me and up the hill. Perhaps if it hadn't been a monsoon out there would have been other people there but it was a pretty isolated spot.